Just like the cruel, unforgiving wasteland in which it was made, the RFB Choppa LARP Sword shows no mercy to the weak. Those who fall under its blade never live to repeat the mistake of taking on whoever wields this Orcish weapon. This rugged LARP hybrid weapon is made from a closed cell foam with a fiberglass core and a latex coating. A strong Kevlar tip protects the fiberglass core and adds extra strength to the weapon. 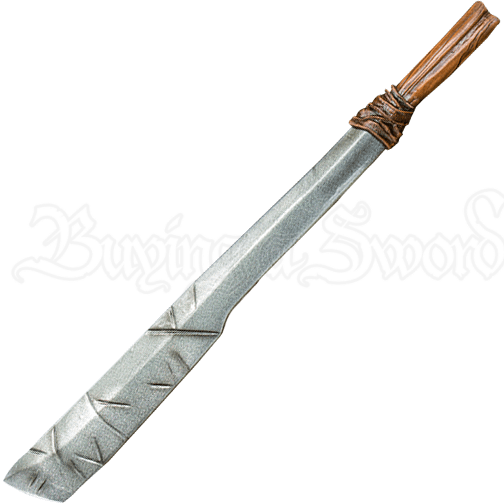 The blade of this weapon has been made to resemble scarred iron that has been lashed to a wooden handle with leather. The highly detailed handle of this LARP sword is made from a cast polyurethane foam that is more durable and will last longer than regular foam. 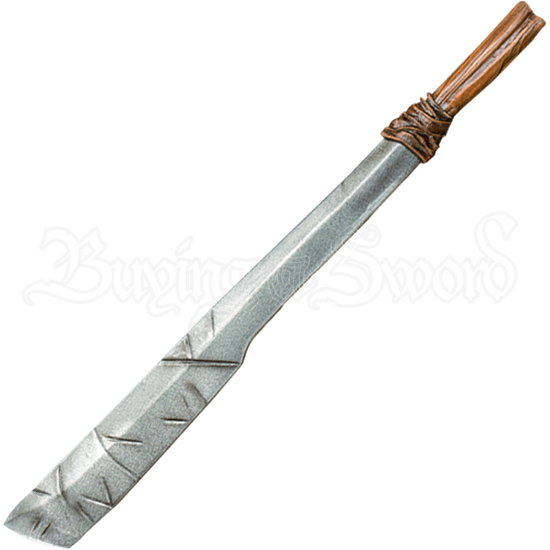 This Ready for Battle weapon is perfect for both LARP and cosplay outfits, and will bring a savage flair to whatever you pair it with! The RFB Choppa LARP Sword has an overall length of 29.5 inches. Please be aware that this measurement can vary slightly, as it is a hand-made item.